Novotel Hanoi Thai Ha Hotel has appointed Mr Timothy Nott as the hotel’s General Manager. Prior to joining the hotel, Timothy has been working in the hospitality industry for over 20 years at the management level. 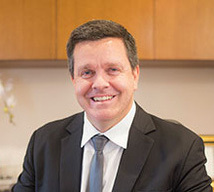 A passionate Australian hotelier, Timothy has acquired extensive international hospitality management knowledge and experience through a diverse number of positions in general management, sales and marketing, asset and revenue management, talent and culture development as well as award winning food and beverage from numerous hotels in London, Australia, Malaysia, Thailand and significantly Vietnam. Timothy has spent a long time working in Vietnam and enjoyed a fruitful 10-year career with AccorHotels as a General Manager. His very first General Manager position was appointed in 2009 to the Mercure Hanoi La Gare Hotel. He then took the reins at the Novotel Phan Thiet until 2012. From 2012 to 2016, Timothy took the helm at five-star Pullman Danang Beach Resort. As a General Manager of the 343-room Novotel Hanoi Thai Ha, Timothy will take full responsibility for the opening of the Hotel on schedule and within budget, the implementation of standard operating procedures, the development of sales, distribution and digital marketing strategies.